A normal but cool guru who always wants to treat his normal but complicated life by the normal but simple think. Hien Nguyen (Hiển) has more than 10 years working in software industry in many positions. 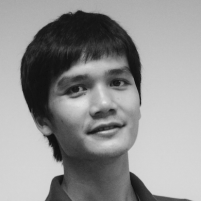 Currently, Hien is Mobile Engineering Manager @ Planday and Board member @ Agile Vietnam. One of the main point in Agile software development is continuous delivery that Scrum states it Sprint. When the delivery benefits to user, it becomes continuous release. With DevOps, the continuous release becomes easier and many teams can practice it today with web application. But mobile is another story. We cannot have failover, we cannot have rollback… to react to the mistake. App Store review takes time as well. So while mobile first is a trend but so few organization can get continuous release happened for mobile. How to practice the weekly release for mobile app? How is your Agile team? More line of code? Less bugs found?... Your Agile team is performing well? Not really. Organization always concerns about how to measure a team when they adopt Agile. There are some misconceptions about the Agile team measurement that lead to the wrong organizational behavior. This session defines the ideas of team measurement in both view of team and organization. Agile seems very easy to understand , not hard to follow to one of the frameworks. But being Agile is another story. This talk focus on the top of common Agile misconceptions that I have observed for years in some organizations, that limits the advantages of applying Agile. It's time to detect and get them corrected.